Blended whisky. A product for the people. High volume fodder for the masses. The bread and butter of the industry accounting for in excess of 90% of all Scotch whisky sales, but looked down upon by single malt fanatics as something for the proletariat. Common. Bland tasting. Only good for mixing with Coke. I’ll never touch the stuff again after getting hammered on half a bottle of it at a mate’s house when I was 16 and thereafter redecorating his parents en suite with the contents of my stomach. I imagine we’ve all heard comments along those lines from those dismissive of blended whisky, and who insist on only trying single malt whiskies. I’m not going to apportion blame, or even call them out on it. The current culture is rather skewed and focussed on the single malt category, leaving blended whisky to sort of ‘get on with it’. Blended whisky appears somewhat forgotten, despite dominating any sales statistic one wishes to consider. Over the course of 2015, I had the pleasure to taste some entry level blends from the 1950s and 1960s. The depth of flavour and richness of character from these whiskies totally blew me away. In all honestly, I was quite taken aback at how ‘beige’ their modern day counterparts were in comparison. 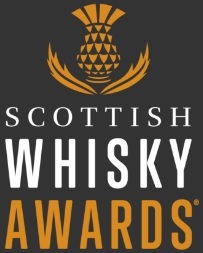 With an ever-growing variety of single malt whiskies now available to the consumer, I started to think about whether there is a perceived lack of innovation in the blended whisky category. Look at the single malt category and, for better or worse, the release of a new product seems to be an almost daily occurrence. 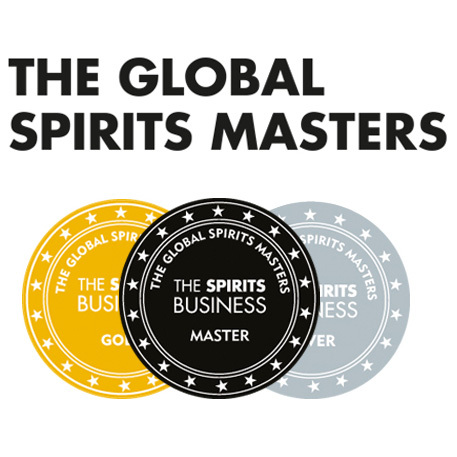 Now look at the big household names from the blended whisky arena and ask yourself how they have changed, developed and progressed over the past decade. Struggling? I don’t blame you. Granted, there are exceptions here and there as there always will be, but by and large this category is more static. Perhaps that’s what your average Joe is looking for; consistency, comfort in the familiar, nothing too off the wall. You’d be forgiven for thinking this would lead to complacency on the part of the blender. Unless, of course, you’re thinking of Johnnie Walker Master Blender, Jim Beveridge. In mid-December last year, I was privy to a pre-launch tasting of the John Walker Private Collection 2016 Edition. Over the past two years, Jim has been given complete freedom to create a special series of blended Scotch whiskies which showcase a particular flavour or style of Scotch whisky. 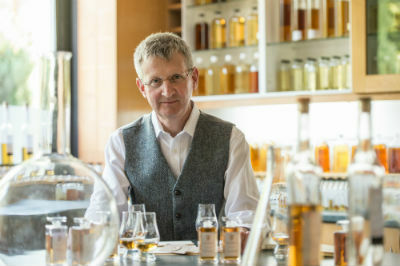 Two years ago, he took inspiration from the signature smoky notes present throughout the Johnnie Walker range, and created the Unique Smoky Blend. 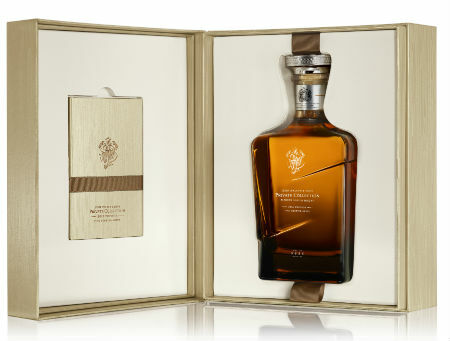 The 2015 edition of the Private Collection was entitled ‘Rare Fruit Character’, and this year, in keeping with Diageo’s objective of furthering the grain whisky conversation (The Caley 40yo from the 2015 Special Releases being the most recent talking point), his 2016 edition is a blended whisky with the focus squarely on grain whisky. In his own words, on that cold December morning in Soho, Jim said he wanted this to be “a blend on its head… with the malt to add backing and lift the whisky [but with] grain whisky being the star.” The result is a blend called ‘Fine Honeyed Notes’, which consists of whisky drawn from 100 casks of Diageo’s rarest and most unique stocks. Three separate vattings were created; two of 20yo+ grain whisky from five current and former Diageo distilleries (Cameronbridge, Caledonian, Cambus, Carsebridge and Port Dundas) and one of Northern Highland single malt whisky (Jim said it was north of Inverness but wouldn’t give anything else away…). The first vatting consisted of heady, estery and aromatically fruity grain whiskies primarily matured in first-fill ex-bourbon American oak casks, along with a some grain whisky matured in ‘experimental’ casks. The second vatting was of more vanilla, fudgey and woody grain whiskies, which were mainly matured in refill ex-bourbon casks. The third and final vatting comprised only a small proportion of the final blend, and consisted of Highland single malt whisky of varying cask types and treatments. After allowing these vattings to marry in cask for several months the result is, quite simply, a masterclass in finely balancing the layers of fudgey, caramely, honey sweetness from aged grain whisky with the fruity, spicy notes of aged Highland malt whisky. Nose: Heather honey, lychee, papaya, and faint blood orange give way cooked apples and pears and, eventually, to aromatic spices. Palate: A sumptuous velvety mouthfeel with praline, truffle, almond cream and hazelnut. The apples and pears are back, with a sprinkling of cinnamon. Finish: A lingering toffee apple sweetness intermingles with gentle wood spice. Limited to 8,888 bottles (you can no doubt guess which market is being targeted) and with a testicle tightening price tag of £550, this whisky doesn’t come cheap. However, rarely do we see a master blender at a company the size of Diageo being given carte blanche to produce such a unique blend from possibly the biggest cask inventory at any blender’s disposal. 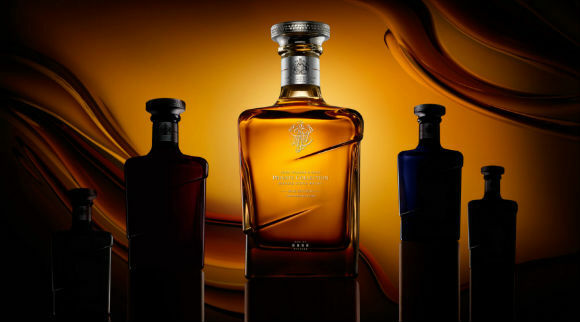 As an exercise in creating a blended whisky with such pointed focus, it’s unparalleled. It’s towards, of not at, the pinnacle of what can be achieved with no boundaries, financial constraints, or consistency factors. A one off product of sheer elegance. Simplified complexity. This entry was posted	on Thursday, January 21st, 2016 at 3:30 pm	and is filed under News. You can follow any responses to this entry through the RSS 2.0 feed. Responses are currently closed, but you can trackback from your own site.